This is an aluminum body chain tool. A bit too weak since on of the guides for the chain is broken. 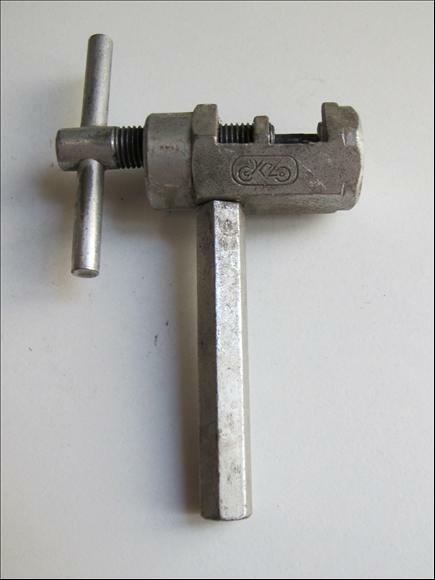 I think this a Cyclo tool since there is a sort of logo made with the Cyclo letters on one side. On the other side, it is written "VELOCIO" "made in France".